Palm Springs, California – like no place else. Whether you consider this your home away from home or the ideal getaway, you will soon discover why so many have fallen in love with this desert city. Located at the base of the San Jacinto Mountains are busy city streets, lined with palm trees, local boutiques, and art galleries. Welcome to the ultimate desert playground for adventure, arts, and culture. Fly into Palm Springs International (IATA: PSP, ICAO: KPSP), located only two miles from downtown. Other desert community airports located within short driving distance are Bermuda Dunes Airport (ICAO: KUDD, FAA LID: UDD), or our home base at Jacqueline Cochran Regional Airport (IATA: TRM, ICAO: KTRM). 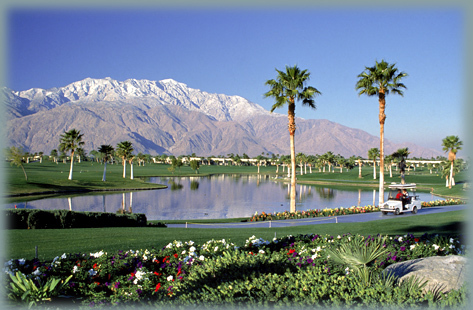 Start the day with a hike through Indian Canyon, soar to the top of Mount San Jacinto on the Palm Springs Aerial Tramway, or enjoy a morning round of golf at Tahquitz Creek Golf Resort. Tour homes of famous celebrities such as Marilyn Monroe and Elvis Presley or stroll through Palm Springs mini Hollywood, “The Walk of Stars”. Make a splash at Knott’s Soak City or fly a simulator at the Palm Springs Air Museum. Explore the Living Desert, a wildlife park home to many endangered and rare desert animals. Next stop is Palm Canyon Drive, which takes you right into historic downtown Palm Springs. Lined with local shops, antique stores, and art galleries you are sure to find something to bring home. Once you are through shopping get a true taste of Palm Springs at one of its fine dining establishments. With so many to choose from you will find all kinds of fares, ranging from American to Italian to Mexican. Palm Canyon Drive is something you won’t want to miss. Ready to schedule your next charter flight? Whether you are looking for the perfect destination or just want to get out of the desert, Desert Jet is ready to accommodate all your travel needs. Please contact us at (760) 399-1000 or charter@desertjet.com, where a charter specialist will be happy to assist you. Let Desert Jet take you there. This airport is the most well-known of the three airports in the area, due to availability of commercial airline service. Palm Springs International Airport offers long runways, rental car facilities, 24 hour service with advance notice, and can accommodate aircraft as large as Boeing 757s. A popular choice for travelers flying on piston, turboprop and light jet aircraft. This airport is closest to the Vintage Club, Bighorn, Ironwood Country and the Reserve Club, as well as the cities of Palm Desert and Indian Wells. This airport offers two long runways as well as instrument approach capabilities for those few days a year the clouds roll in. The Jacqueline Cochran Regional Airport offers rental cars, 24 hour service with advance notice, and can accommodate aircraft as large as Boeing 757s.